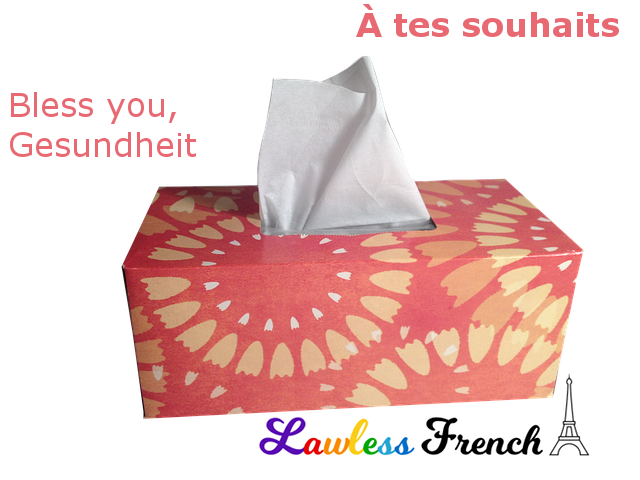 Usage notes: When someone sneezes, it may be polite* to say à tes souhaits (to someone you tutoie) or à vos souhaits (to someone you vouvoie). * The English equivalents are "bless you" and, oddly, "Gesundheit" (which means "health" in German but is commonly used in English). While "bless you" clearly has a religious connotation, à tes souhaits (like Gesundheit) does not, though they’re all used in response to the same trigger. 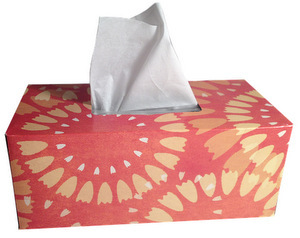 * There’s some debate about how polite it really is to respond to a sneeze with one of these phrases as it interrupts whatever is being said at that moment, so do be a bit careful with it. It’s probably ok while sitting in a restaurant (if no one is talking right then) but probably not during a class or business meeting. À tes souhaits / À vos souhaits – "To your health"
À tes amours / À vos amours – "To your loves"
– et qu’elles durent toujours – "and may they last forever"
– que les tiennes durent toujours / que les vôtres … – "may yours last forever"
– avec un grand A et beaucoup de s – "with a capital A and lots of s’s"
– et à tes enfants / et à vos enfants – "and to your children"
– et à ton argent / et à votre argent – "and to your money"
The noun un souhait comes from the verb souhaiter (to wish).